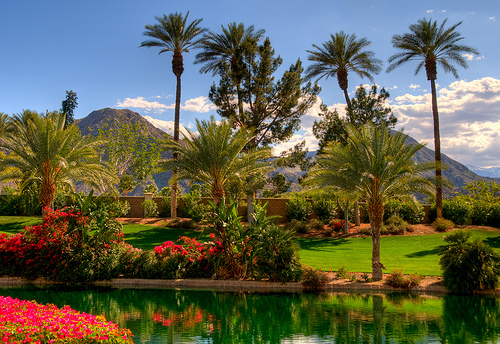 With its 354 days of sunshine per year and beautiful natural setting, the Palm Springs area offers the perfect blend of casual relaxation and outdoor adventure. Long a haven for the rich and famous, the area also makes for the idyllic playground for bachelor / bachelorette parties and girls' / guys' getaways. Lounge by sparkling pools, admire the dramatic vistas from the top of Mount San Jacinto on the Palm Springs Aerial Tramway, hike through ancient palm groves of the Indian Canyons or take an off-road adventure to Joshua Tree National Park. Pamper yourselves at a ritzy spa or tee it up at one of the 125+ pristine courses the "golf capital of the world" has to offer. What a way to spend QT with the gang!